Tyson Fury sent a reminder to Anthony Joshua yesterday that the three heavyweight title belts the Londoner holds were just "borrowed" from him. And he urged Joshua to follow his lead and take on the greatest challenges as soon as possible "like a true fighting man". 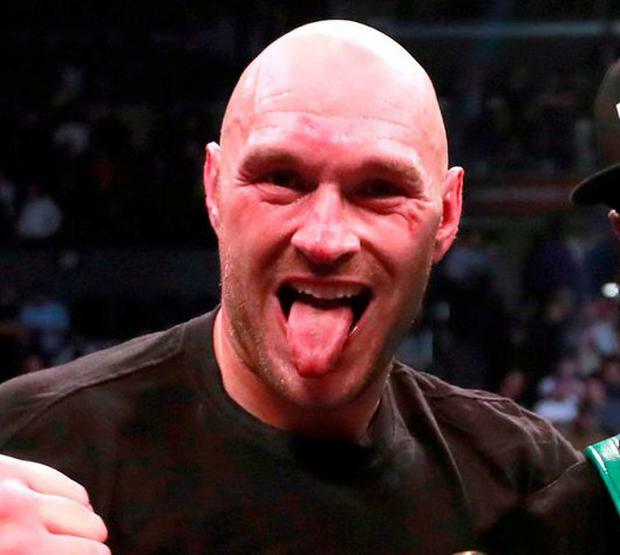 Fury, his right hand sore and his forehead and eyes marked after his World Boxing Council championship fight with Deontay Wilder on Saturday night ended in a controversial draw, said: "I would fight Deontay Wilder again because I'm a fighting man and so is Deontay. I know Deontay is going to want the rematch, but I can't speak for him. "But you've got a guy in England (Joshua) with three belts out of the picture. My belts." The Lancastrian insisted that any victory over him was a prize in itself as he was the lineal champion. He defeated Wladimir Klitschko three years ago, and has never been beaten, only losing his titles through inactivity. Fury's weekend heroics here have earned him a high rank in the betting for BBC Sports Personality of the Year. Three years ago, he finished fourth, despite criticism for sexist comments about Jessica Ennis-Hill in the run-up to the vote. A rematch with Wilder seems reasonable to Fury (above) given many felt he had won - though, importantly, not two of the ringside judges - and his extraordinary comeback has made him a star in America.